All you need to know is that this is a very fine, colored powder that changes to a clear powder when you heat it to about 92F (33C). This is really cool for a lot of reasons. You can mix this pigment with paint to create thermochromatic paint for craft projects or to make temperature indicators. It mixes with Sugru and Polymorph as well, rendering them both thermochromatic. Use a controllable electric heating source and you could even build a thermochromatic display! 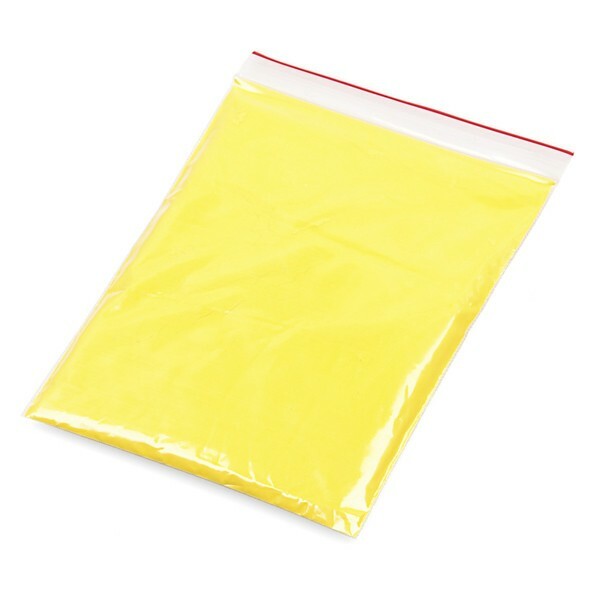 This pigment comes in a 20g bag, which is more than enough to play with and just enough for a good sized project (depending on what you're doing with it). Careful not to overheat the pigment as temperatures over 200C can cause irreversible damage to most Leuco dyes.